Halloween is loved and loathed worldwide for exactly what it has become: a celebration of freedom of expression, often in the face of opposition. For one night, individuals disregard accepted behavior, governments intervene (or don’t) as they see fit and everyone gets to share a bit of what they really think. Below are five responses to Halloween from around the globe that highlight underlying tensions that might otherwise go unspoken. Brasil: In 2005, hoping to mitigate the rise of Halloween, Brasil’s government made October 31 a two-holiday occasion by adding Saci Day to the roster. Saci, the beloved one-legged troublemaker from traditional Brazilian folklore, seems to have worked his magic on the imported Halloween: check Twitter this weekend and we predict you’ll see more than a mention or two of Dia do Saci. 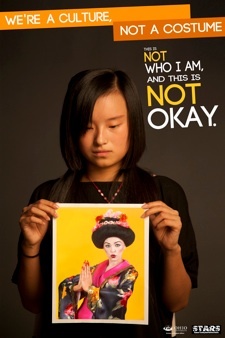 United States: In 2011, Ohio University’s Students Teaching About Racism in Society (STARS) launched ‘We’re a culture, not a costume’, a campaign to challenge the cultural and ethnic stereotypes that have become normalized in Halloween costumes. Sarah Williams, then-president of STARS, explained, “The best way to get rid of stereotypes and racism is to have a discussion and raise awareness.” The group has succeeded in initiating a national dialogue that continues to this day. Russia: In 2014, Georgy Fyodorov of Russia’s Public Chamber petitioned Culture Minister Vladimir Medinsky for a nationwide Halloween ban: “Unfortunately, since the 1990s, lifestyles and behaviors that are very different from our cultural values are being actively thrust upon us. I believe it is necessary to give an ideological assessment to this holiday and launch a counteroffensive.” Medinsky dismissed the petition as a request beyond the scope of his office. This year, Russia’s Arkhangelsk region has taken up Fyodorov’s fight by banning Halloween celebrations in schools. For many, October 31 is one night of freedom following 364 of conformity to social norms that antagonize their very nature. Once released, this bottled expression frequently oversteps its boundaries and delves into the otherwise forbidden fruits of carnal pleasure, stereotyping and worship of the foreign other. Underneath, however, is a holiday whose global appeal is rooted in a desire to be honest—to show people who we really are, who we want to be and how we really think, sentiments that find themselves expressed most openly from behind anonymity’s mask. Halloween brings out a version of ourselves that perhaps isn’t our ‘best’ self, but also doubles as an opportunity to challenge those beliefs that would otherwise remain within. Halloween is yet another example of the ineffectiveness of constraints on freedom of speech and freedom of expression. Restrict what people can say and do and they’ll simply keep it in until they can hold it no longer; what form it takes at that point is anyone’s guess. Love it or hate it, participate or conscientiously object, recognize that this October 31 is your opportunity for self-expression. Our last installment of SumVoices featured East African computer security collective AfricaHackon. This week we bring you a second installment from Iraqi photojournalist and social media trainer Bahr Jasim. The two-part report features a version in Arabic, below. Iraqi netizens, like most in the MENA region, are not aware of their privacy online. Most of them are not conscious about their online privacy and about what can happen if they don't protect themselves online. This has led to many negative results for Iraqi internet users. Here we will talk about the most important of them. After twelve years since the American invasion, the New Iraq is governed by politicians who are not aware of the interests of Iraq or even don't care about the interests of the Iraqi people. From the Iraqi citizen's point of view, they consider that the actual government doesn't care about the country or the citizen; they just care about the security of themselves and their families and they don't care about the problems of the citizens. The Iraqi people said that the government makes decisions and policies without taking into consideration the result, or undertaking research or referring to experts and experienced people. One of these policies is the cybercrime law, which will not serve the Iraqi netizen if enacted. The Iraqi cybercrime law is one of the most malleable laws in the Arab region. It contains articles that can be interpreted and used against any netizen and in any way, because the articles are not clear and don't contain straightforward language. This allows for the government to arrest without any clear reason. Many activists confirm that it is important to set rules that are in the interest and service of the Iraqi netizen to protect their privacy online and combat cybercrime, especially in the event of war or terrorism. Nevertheless, this cybercrime law did not address this and doesn't protect human rights and freedom of expression. It was a disaster and doesn't meet international standards, according to the deputy executive director of the Middle East for the organization Human Rights Watch. This law gives the Iraqi government a new tool to suppress dissent, especially on the internet, greatly used by Iraqi journalists and activists, who are increasingly seeking information and open debate on it. Various local organizations have worked to stop the application of this law, and one of these is the Iraqi Network for Social Media (INSM), who has published articles, blogs, and held events and conferences collaborating with experts, technical advisors, and the academic community, coming up with recommendations for better protection of netizens. INSM has also held workshops to spread awareness among Iraqi netizens, and has engaged in direct discussion with decision makers to make them aware of the risks of this law if implemented. INSM bloggers also collected signatures from human rights and freedom of speech organizations. The work of INSM and other local organizations was not in vain, as everyone worked hand in hand honestly for the good of all Iraqi people. Finally, this law was withdrawn. In addition, there has been some discussion to draft a new law. Another example of a violation of privacy in Iraq was committed by a mobile game app called Aboudi that is the same as the popular game Subway Surfer. 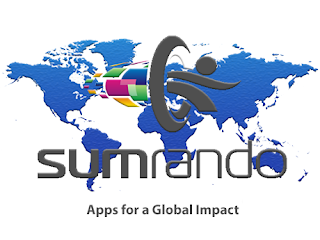 This application was downloaded by a large number of Iraqis without taking the time to read the registration policy and the permissions given to the game developer. These permissions include: your mobile phone identity, the programs that you have in it, the dates, studio, text messages, your contact numbers and names, WIFI and calls. These kinds of permissions are considered human rights and privacy violations, as the developer of the game can check this information whenever he wants to, unless the game doesn't require this information to work. In another example, a case has been documented as a violation committed by an influential person against the privacy of another person directly. It happened in the Faculty of Engineering at the University of Basra against a student who has been suspended for 28 days after publishing on his Facebook profile that the university lacks many services and provides poor accommodation. Another student was suspended for the same reason after commenting on his post. That proves to be a clear violation of online privacy and that freedom of expression is not guaranteed. A Facebook page is a private social page where we should be free to say whatever we want, but this is not the case in Iraq. Flagrant violations of Iraqi internet user privacy in various forms are occurring, and these abuses are the result of a lack of awareness by the majority of netizens about their online privacy. Much work must be done locally with the help of Iraqi journalists and bloggers across the country. Bahr Jasim is an Iraqi photojournalist who showcases human rights issues through photography and a social media trainer for journalists specializing in the protection of their rights in cyberspace. You can read his blog at http://www.bahar-iq.com/ and follow him on Twitter at https://twitter.com/baharsea1. His previous post for SumVoices can be found at: http://blog.sumrando.com/2015/09/sumvoices-behind-scenes-look-at-what.html. Iraqis and everyone can protect themselves with encrypted VPN. Download today! Our last installment of SumVoices featured East African computer security collective AfricaHackon. This week we bring you a second installment from Iraqi photojournalist and social media trainer Bahr Jasim. The two-part report features a version in English, above. في بادىء الامر حول مفهوم الخصوصية في العراق يعتبر ضعيف جدا من قبل مستخدمين الانترنيت مقارنة مع العدد القليل الواعي حول ماهية خصوصية الفرد على الشبكة العنكبوتية, مما ادى ذلك الى سلبيات كثيرة بين مستخدمين الانترنيت, سيتم التطرق الى الشائعة منها. "يعطي السلطات العراقية اداة جديدة لقمع المعارضة, لا سيما على شبكة الانترنيت التي يلجأ اليها الصحفيون و النشطاء العراقيون, بشكل متزايد التماساً للمعلومات و فتح ساحة النقاش"
الشبكة العراقية للأعلام الاجتماعي ( شبكة انسم للتدوين INSM ) عملت جاهداً لأيقاف القانون بمختلف الطرق من عقد الندوات و المؤتمران و الخروج بتوصيات من مختصين و العمل على ورشات عمل توعوية و تثقيفية ضد القانون و الخوض بنقاشات مباشرة مع اصحاب القرار و توعيتهم من مخاطر القانون حتى على انفسهم و جمع التواقيع من منظمات معنية بالدفاع عن حقوق الانسان وحرية النشر الى كتابة المقالات و التدوينات من قبل ناشطين و صحفيين حتى تمكن الجميع من سحب القانون و ايقافه العمل به, لحين الوصول الى قانون يخدم الجميع وبمشاركة جميع الاطراف المعنية بصياغته وهي نقطة نجاح تحتسب. انتهاكات اخرى من انواع مختلفة يتعرض لها المستخدم العراقي للأنترنيت ففي الاونة الاخيرة انتشرت لعبة عراقية للهواتف المحمولة بأسم ( عبودي ) و هي مشابه الى حداً كبير لعبة ( Surfer Subway ) الشهيرة. هذه الصلاحيات جميعها الممنوحة لمبرمج اللعبة تعني انه لا تمتلك اي خصوصية على الانترنيت و يمكن للمطور بكل سهولة الولج لهذه البيانات وقت ما يشاء, مع العلم انه هذا النوع من الالعاب لا يحتاج الى جميع هذه الصلاحيات ليتم التشغيل. من جهة اخرى لحالة تم توثيقها هو انتهاك اصحاب النفوذ بشكل مباشر لخصوصية الفرد حيث حصلت الحادثة بكلية الهندسة جامعة البصرة حين صدر امراً من عمادة الجامعة بفصل احد طلابها فصلاً مؤقتاً لـ ٢٨ يوماً و فصل عدد اخر من الطلاب معه, سبب قرار الفصل جاء بسبب وضع الطالب منشوراً في موقع التواصل الاجتماعي فيسبوك ينتقد فيها الجامعة من نقصاً في الخدمات و فصل الطلاب الاخرين كان سببه وضعهم تعليقات لنفس الموضوع. فهو انتهاك واضح لخصوصية الفرد فحرية التعبير مكفولة و الصفحة التواصل الاجتماعي هي صفحة خاصة يبدي مستخدمها رأيه بكل حرية و لكن ليس في العراق. انتهاكات واضحة لخصوصية المستخدم العراقي للأنترنيت بأشكال مختلفة, تأتي هذه الانتهاكات ايضا لأفتقار غالبية المستخدمين العراقيين لثقافة المحافظة على الخصوصية, و هو امر كبير يجب ان تعمل عليه المنظمات المحلية و الدولية و كذلك من الصحفيين و المدونين عبر التوعية الدائمة بمختلف الوسائل. 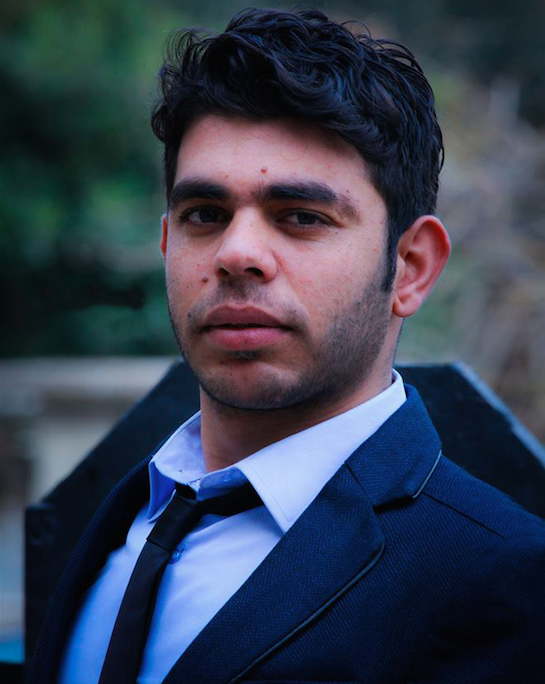 Bahr Jasim is an Iraqi photojournalist who showcases human rights issues through photography and a social media trainer for journalists specializing in the protection of their rights in cyberspace. You can read his blog at http://www.bahar-iq.com/ and follow him on Twitter at https://twitter.com/baharsea1. His previous post for SumVoices can be found at http://blog.sumrando.com/2015/09/sumvoices-behind-scenes-look-at-what.html.